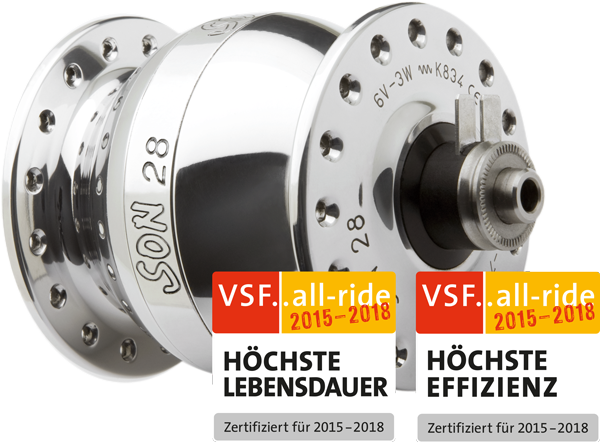 SON 28 is designed for high power output at low speed. It conforms with German legal regulations for wheel sizes up to 700c/29er. This is why SON 28 gives a lot of electricity for lights or for powering charging devices even when cycling slowly. The SONdelux has a generator especially made for LED-headlights like Edelux II. Its voltage curve climbs somewhat slowlier than the SON 28 voltage curve. This means you will have the same voltage at higher speed compared to SON 28 that conforms with German legal regulations (see image 1). 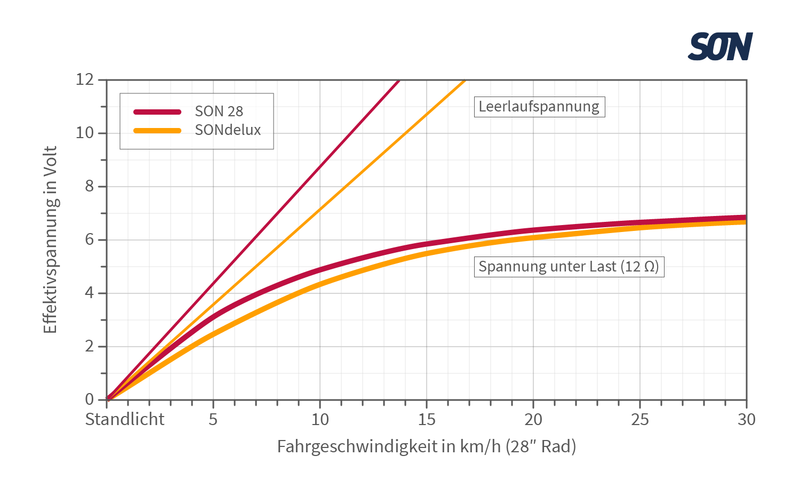 As LEDs provide high light output even at low power the different electrical properties between SONdelux and SON 28 become less relevant. 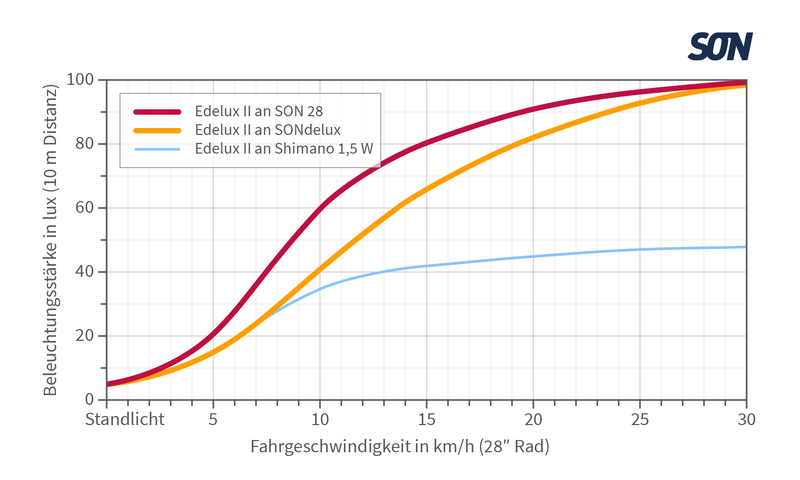 With SONdelux you will have a little less light at speeds below 20 km/h, yet with more than 60 lux at 15 km/h it is more than enough. At higher speeds you won‘t notice any difference (image 2). SONdelux slimmed magnetic system saves about 50 grams depending on hub type and it reduces your average power input by approximately 15 % (image 3). 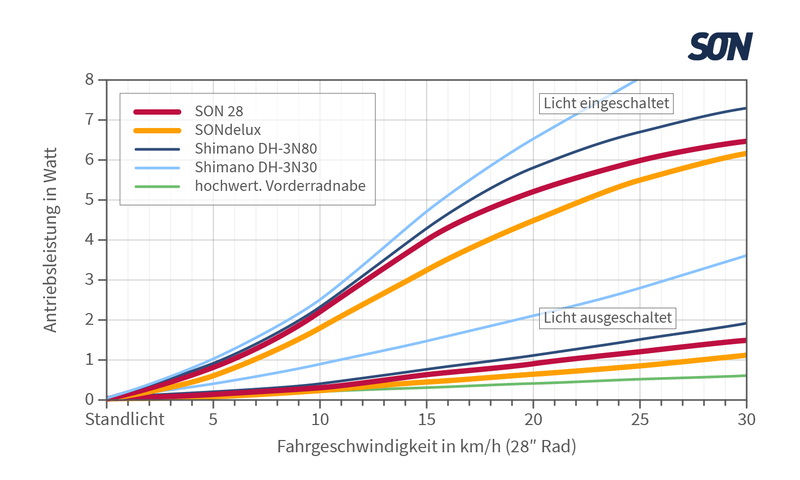 In spite of the permanently running generator: with lights switched off the additional power input is negligible compared to hubs without built-in dynamos. With lights switched on power input increases significantly as lighting systems use up to 4 watts. SONdelux takes the lead with lights switched on, too. By the way, power input of a hub dynamo is so little that, normally, you won‘t feel a difference the moment you switch on your lights. Nevertheless it will be a good idea to switch lights off at daylight if you like to move forward as smoothly as possible! What should the ideal light field of a headlight look like? 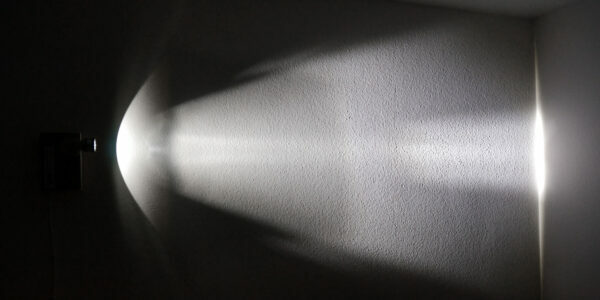 Usually we look at the wall projection of a headlight when we evaluate its light field. Our comparison of light fields shows how their road projection looks like and what makes an ideal light distribution. Have a look yourself!